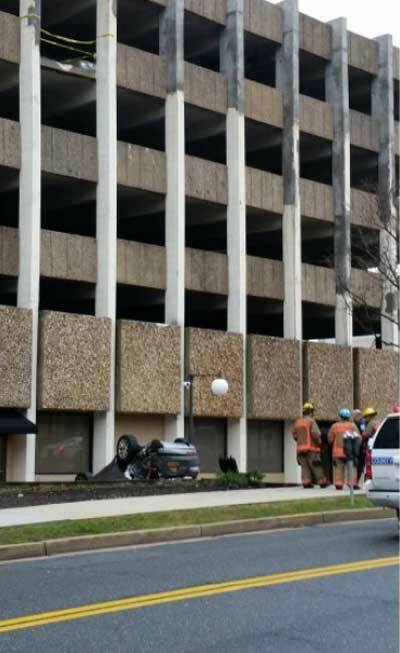 A female driver escaped with minor injuries after her vehicle plunged from a parking garage in Towson, Maryland, just before 9am on Monday. 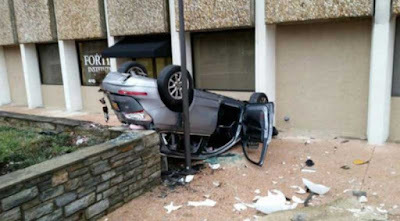 Lindsay Taylor Cook, 23, was not seriously injured after her Audi Q5 fell from the fourth floor of the parking garage and landed upside-down below. 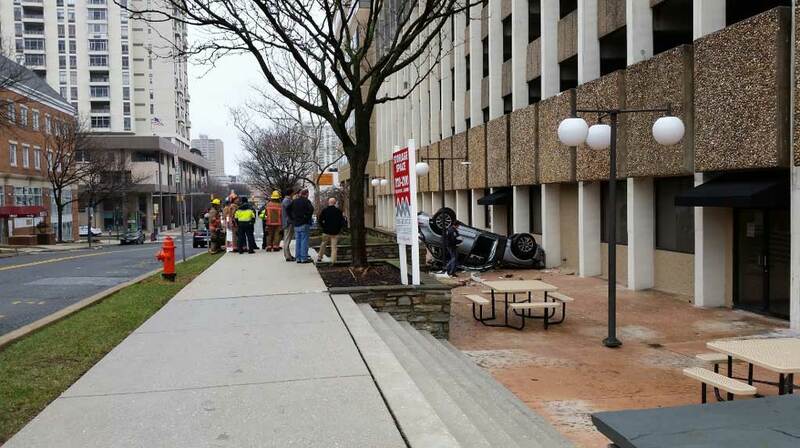 Police say she was pulling her car into a parking space, when the car crashed forward through a concrete barrier, and fell onto the sidewalk below. The car landed on its roof. On Wednesday, Baltimore County Police released surveillance video of the incident as it unfolded. If she hasn't called Audi by now, offering to do a commercial, she's an idiot. Heck, get an AGENT, lady! If she was only 'pulling' into the parking space (and not slamming into it), even with sudden acceleration how was she able to go through the wall? Shouldn't they be strong enough to withstand something like that?